This disease stems from the lateral line that fish have, thus appropriately named Head and Lateral Line Erosion (HLLE). It is also referred to as Lateral Line Erosion (LLE), Lateral Line Disease (LLD) and Hole-In-The-Head Disease. It appears as open pitted wounds around a fish's head and along the lateral line as if something is slowly eroding away the flesh. HLLE disease in the short run is not fatal, but over the long run, if the disease continues to progress, the fish stops eating and becomes lethargic. The open wounds make the fish susceptible to other infections which in turn leads to the further deterioration of its health. These secondary infections are what may eventually contribute to its demise. What Is the Lateral Line? 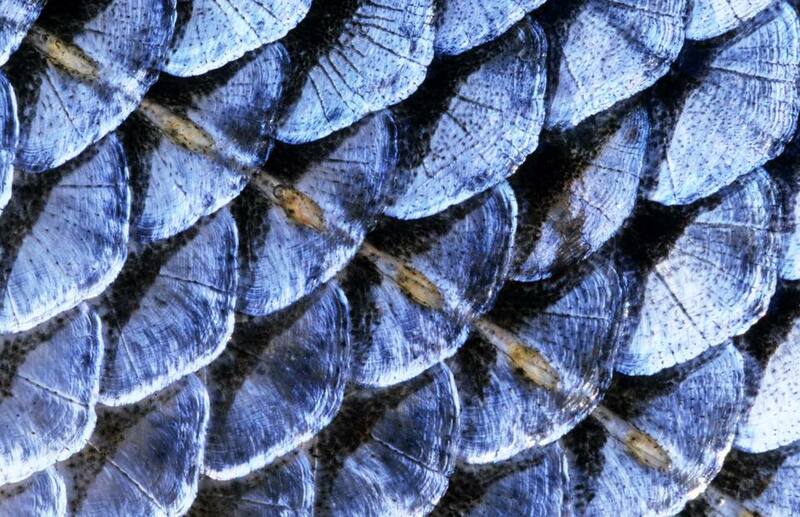 The lateral line is a tube running just below the surface of the skin along the sides of the body, usually marked externally by a series of pores that open out through the scales. The lateral line is a very important sensory organ. It can detect minute electrical currents in the aquarium water and also functions as a kind of echolocation system that helps fish to identify their surroundings. There is usually only a single lateral line on each side of the body, but many variants of the typical lateral line may occur. For example, on the sides of the Belonidae (Needle Fish), Hemiramphidae (Half-Beak Fish), Exocoetidae (Flying Fish), and a few other fish families, the lateral line runs very low on the sides. On some species, the lateral line may also be incomplete, in which case it stops short of the base of the caudal fin. It may also be interrupted, meaning that it ends and then recommences after a gap, perhaps several scale rows lower down on the body, as in some of the Labridae (Wrasse) species. Strangely enough, in a fairly large number of families, the lateral line is absent altogether. There are many "theories" as to why this disease occurs, but there seems to be no single definitive answer that can be pinpointed or solely connected to it. Many of the contributing theories include stray voltage in the aquarium, poor water quality and environmental conditions, high nitrate levels, lack of vitamins and poor nutrition, stress, parasitic infestation (a protozoan, Octomita necatrix), using activated carbon, and that some fish may just be genetically predisposed to this disease condition, such as Tangs and Surgeonfishes. Most of the above possible causes can be easily addressed. Stray voltage induces stress, so adding a grounding probe to the aquarium is a wise thing to do in any case. For poor water quality and environmental issues, follow good regular aquarium maintenance routines. Reduce and eliminate any other stress-inducing factors, correct diagnosis for parasites, and always feed fish foods that any particular species require in their diets. Using over-the-counter medications do not seem to do much in treating this disease. However, those that contain antibiotics can help to treat secondary infections. From all the research we have done, no matter what the actual "cause" may be, it appears that improving water quality and providing supplemental vitamins and adequate nutrition are key elements in "treating" HLLE. Many aquarists have had great success in reversing the effects of this disease by providing the fish with supplemental vitamins, such as A, D, E or B's, as well as iodine. This can be accomplished by feeding them foods soaked in Selcon, Zoe, or other liquid vitamins, providing algae eating species with vitamin-rich live plant sources, such as macroalgae, i.e. Caulerpa, and adequate live rock growth, and even by feeding a diet of broccoli supplemented with peas and other prepared foods. Jay F. Hemdal, the Curator of Fishes and Invertebrates at the Toledo Zoological Society has completed a very interesting study of the cause of HLLE. The results of the study indicate quite strongly that the use of lignite carbon in a saltwater aquarium removes something (in all likelihood one or more trace elements) from the water, the lack of which seems to cause HLLE. What is the Best Way to Treat Ich Diseased Fish with Formalin? Feeding Saltwater Aquarium Corals: When Do Corals Eat? Are Flatworms Destroying Your Corals?